Social networking has quickly become the new “in” thing to do in cyberspace. Whether you’re using it to organize your social life or you’re trying to expand your reach as an author, social networking can help you reach those goals because it allows you to reach an audience you might not otherwise reach. Plus, if you’re using it to promote your business, the interpersonal nature of social networking sites gives you the chance to interact with a much more personal voice. 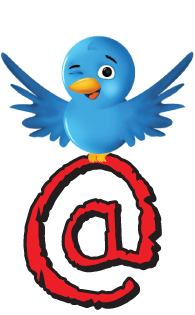 The trouble is that there’s no set conventional wisdom on the most efficient ways to use social networking. It takes time to understand the benefits and potential uses of each platform, so getting comfortable doesn’t always happen right way. That comfortable feeling comes eventually, but in the meantime, you need to manage the time and effort you spend on social networking for your business. You can do that by trying new things and regularly evaluating the strategies that work best for you. An RSS feed is one of the most versatile tools for presenting a regularly-updated content stream online. 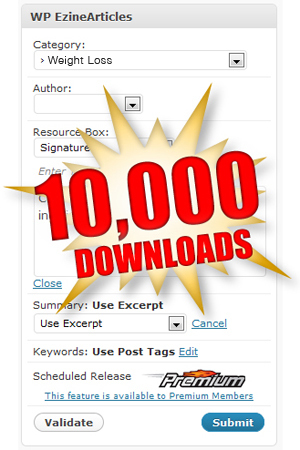 In a recent post, we shared some powerful ways to use your auto-generated Expert Author RSS feeds (aka Really Simple Syndication) for your benefit. 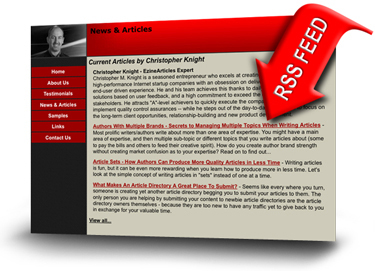 The flexibility of RSS makes it perfect for sharing your articles on your own website. Plus, you can also input an RSS feed URL into an RSS reader to follow the published works of a single person or an entire niche. One of the things we skimmed over in that post and want to revisit now is how easy it is to incorporate your Expert Author feed into other sites, like Facebook. We want to revisit it because it can help you reach an audience that you may have overlooked, and it’s pretty simple. There are a few options when it comes to posting your Expert Author feed to your personal/business Facebook page. 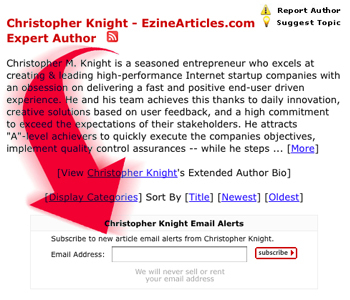 The first option, which we use for the EzineArticles Blog RSS feed on Facebook, involves adding an RSS application to your account to automatically post a status update when new articles or posts are added to the feed. Another option is to import the RSS feed through the “Notes” feature. We’ll cover both in this post. Taking steps to nourish your existing article inventory. Article writing and marketing is a powerful tool for generating interest and buzz in your business, but keep in mind that the minute you finish writing an article and submit it, there are extra steps you should be taking to ensure the success of that article. Think about it like this: When you’re planting vegetable or flower seeds, do you dig a hole, drop in the seed, cover it up and forget about it? Not likely. 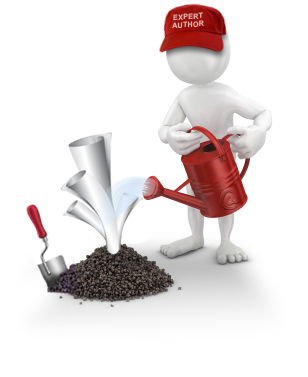 You cover the seeds with soil, then nourish and take care of them with water as they build their roots and spring from the ground. If you want to get the best possible results with flowers, you can’t just set them in the soil and forget them. Every month @EzineArticles provides well over 100 useful tidbits of information, fun facts and training – We’ve gathered 30 of the best ones from April right here. Retweet any (or all!) of them to enhance your article writing and marketing efforts. Depending on your writing style, your tone can be light … but ‘LOL’ is not OK unless you are defining text slang. Grammar Tip: Watch for homonyms, words that sound the same but have different meanings. Be right when you write. Use ‘bold’ to emphasize headings, not keywords. Readers get distracted from the content if the wrong words stand out. Simple way to increase your CTR: Optimize your Resource Box with links to content relevant to the article and call to action. Article Title Tip: Do not include Quotes or Apostrophes around your article titles. We’ll just strip them out each time. Following easy-to-use article templates not only speeds up your writing, but gives all of your articles a similar feel. 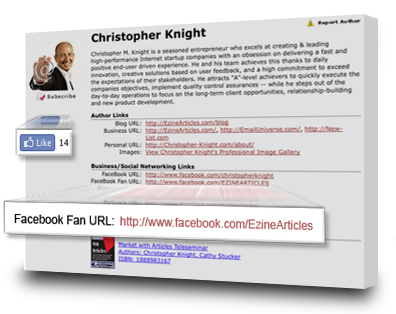 Add your Facebook Fan Page URL to your Expert Author Bio today! Fact: Our Expert Authors are 4 times more likely to include a link to their Twitter page versus a link to their Facebook page. This is interesting, especially considering Facebook has 4 times as many members as Twitter! Our guess is that many members see Facebook as a channel for personal interaction and not a good place to promote a business – so they use Twitter alone. Facebook recently made it much easier for business owners and entrepreneurs to promote their business AND themselves separately through the use of Fan Pages. So we’ve upgrade your Extended Author Bio to now include a link to both your personal Facebook page and your Fan Page. 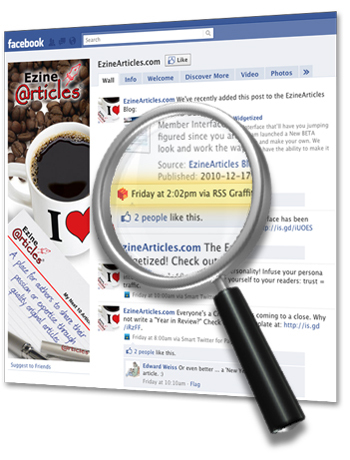 Our other Facebook-related upgrade allows members to “Like” your Expert Author Bio page. If a reader finds your bio interesting, they can click on the “Like” button. Now a link to your Expert Author Bio will appear on their Facebook page! If you missed the original submission deadline, you’re in luck! We’ve decided to give all of you aspiring filmmakers a little more time. In the last few days, we’ve received several requests from members to give them some additional time to complete their EzineArticles promotional videos. Since we’re not up against any real time constraints on our end, we’ve decided to move the deadline back 1 week to Sunday, March 21st. Before you dive in, however, make sure you watch the explanatory video and read the PDF Checklist. They both provide important information that you’ll need to know if you want to earn your place in the video spotlight. We need video of you participating in your hobby and/or business. 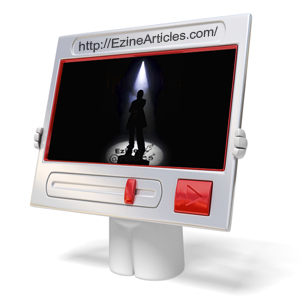 Tell us about why you’re using EzineArticles and how it impacts you or your business/organization. We need to be able to hear you – so get that microphone close and cut the background noise. Do not make this a hard sales pitch for your business or organization. Give us some data, like how long you’ve been writing, how many articles you currently have live, etc. If you’re unclear about what we’re asking for, go check out some of the videos that have already been accepted. There’s a list (with links) at the bottom of the February 26th Blog post. Or you can ask your question by posting a comment here. Thanks to everyone who has already submitted a video! There are some REALLY good ones – why not invest a little time and make yours one of them?